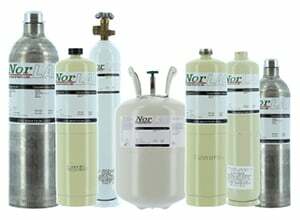 Norlab offers a complete line of specialty gases including environmental, industrial hygiene, medical and special application mixes, as well as multi-component hydrocarbon mixtures and pure gases up to 99.9999%. We also provide fixed flow, multi-flow, demand flow, and pressure reducing regulators along with manifolds, filters, fine metering valves and cylinder changeover systems plus a full line of accessories. 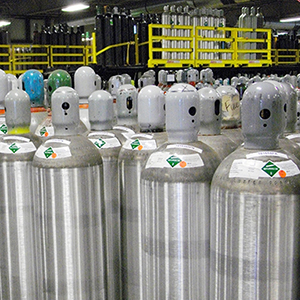 Our gas blending capabilities include EPA protocol mixes, primary standards produced gravimetrically with accuracies to ±.02% absolute, along with certified and unanalyzed mixes produced to less stringent tolerances. NIST traceability certification can be provided. Norlab is proud to be ISO 9001:2008 certified.